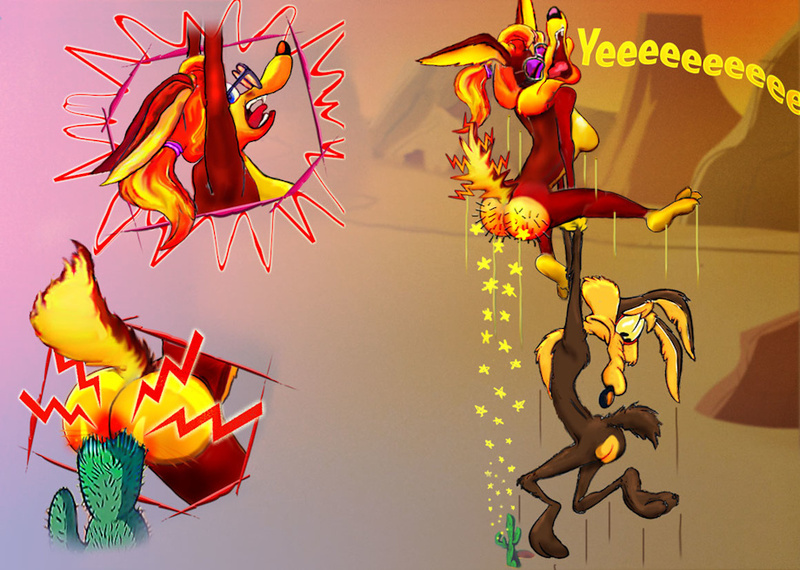 Wile E. is no stranger to toon physics but even he must find this situation a bit uncanny. This is the follow-up to Cactus Covergirl. One way to become airborne. it's the LAST FOOT that's deadly ! Yes, in a 100+ ft fall. It's not the 99+ feet of free fall - it's the LAST FOOT that's deadly ! Martin Gardner of Scientific American fame, discussed this at length. Diogenes also disproved it by spinning around. Just like Berkeley's argument that matter does not exist, was scorned by a hearer who said "I refute it thus" and kicked a large rock. I was always kind of rooting for While to win XD . The Roadrunner was way to saditic -_- .